Surprise! Halloween season is back. Get on track and spend a memorable Halloween experience in Paradizoo. It’s time to get thrilled, shocked and amazed. 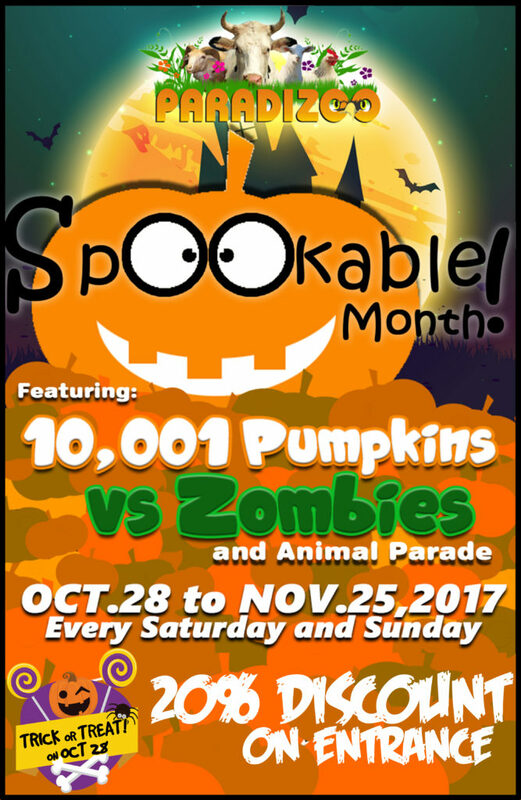 Enjoy the “10,001 Pumpkins VS Zombies” and animal parade every Saturday and Sunday from October 28 to November 25, 2017. Paradizoo is a majestic get away theme park in Mendez, Cavite that offers a combination of Paradise and Zoo. It is a stunning haven of farm and garden offering you a breath-taking beauty of flora and fauna. Feel the peacefulness and tranquillity of this wonderful sanctuary and get a chance to interact with different interesting animals such as llama, camels, miniature horses, ostriches and albino carabao. Cuddle and buy some loveable pets like rabbits, hamsters and love-birds in Farm Frenzy. And select vegetables and flowers from garden plots to take home in Plant Me Home area. Another Paradizoo’s very interesting attractions are Meditation Garden, Wedding Pavilion and Boot Camp. Celebrate the most special days of your life, have a long lasting and remarkable memory in this amazing place as they soon cater venue for events like birthdays, christenings and weddings. Watch out also for a one big launching of Paradizoo’s latest state of the art Greenhouses which apply the Best Practices in agriculture especially in farming like vermiculture, bokashi soil, hydrophonics and more. Paradizoo will soon open a Learning Institute accredited by DA-ATI. Want to experience an enjoyable and relaxing Halloween, feel free to call us to 898-3695/8999828/08 or visit our website at www.zoomanity.com.ph. “Come on, baby, come on”. Give your family a wonderful and exciting summer experience in Zoocobia Fun Zoo. Join the mysterious and fascinating event called the “Night Owl”. Come and enjoy a terrific afternoon full of fun and games, animal show and loads of surprises every Saturday starting from October 28 until January 6, 2018. 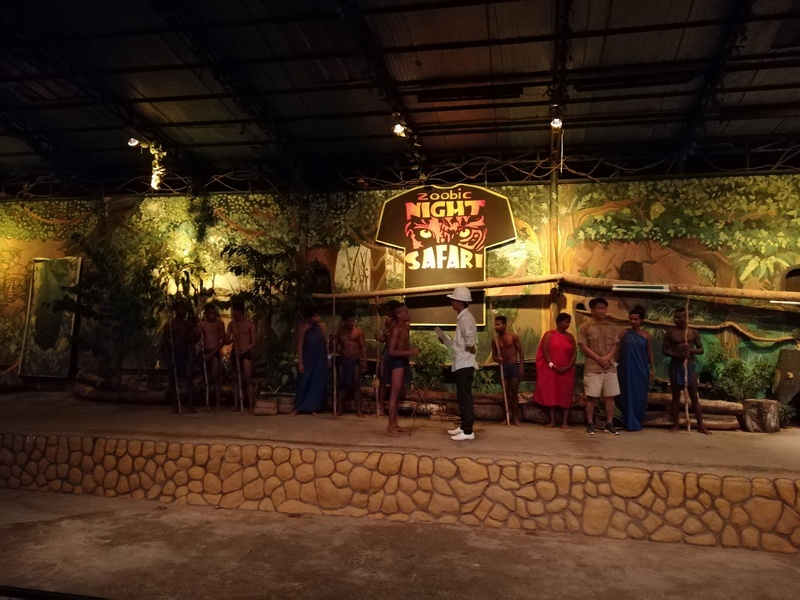 Watch the incredible performance of Aeta’s showing their culture and history. 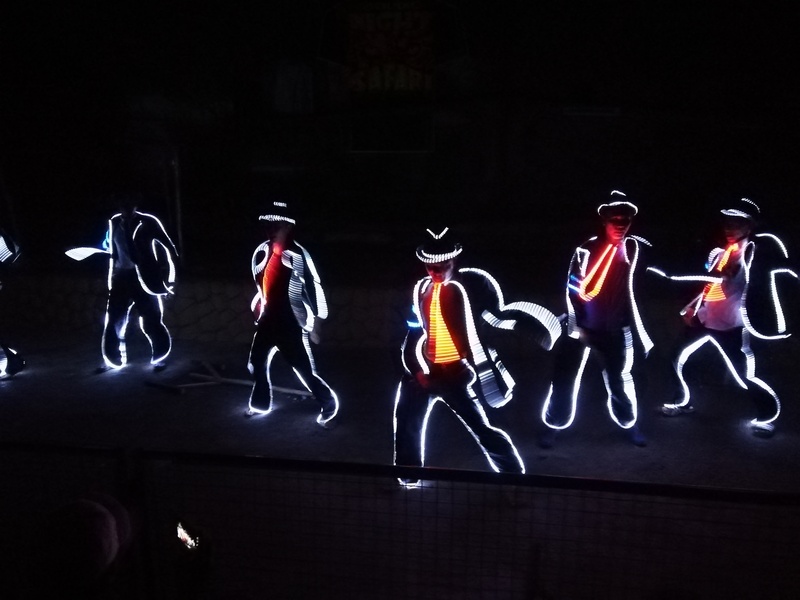 Be mesmerized by the astounding LED light show presenting animal education and environmental conservation. Enjoy the cute and magnificent animals demonstrate their talent and uniqueness in animal show and parade. See Zoocobia’s amazing latest attractions Zing, ZipLine, Camel Ride, 4X4 Extreme Ride and Mango Camp. Zoocobia is a fun zoo theme park located in Clark, Pampanga. 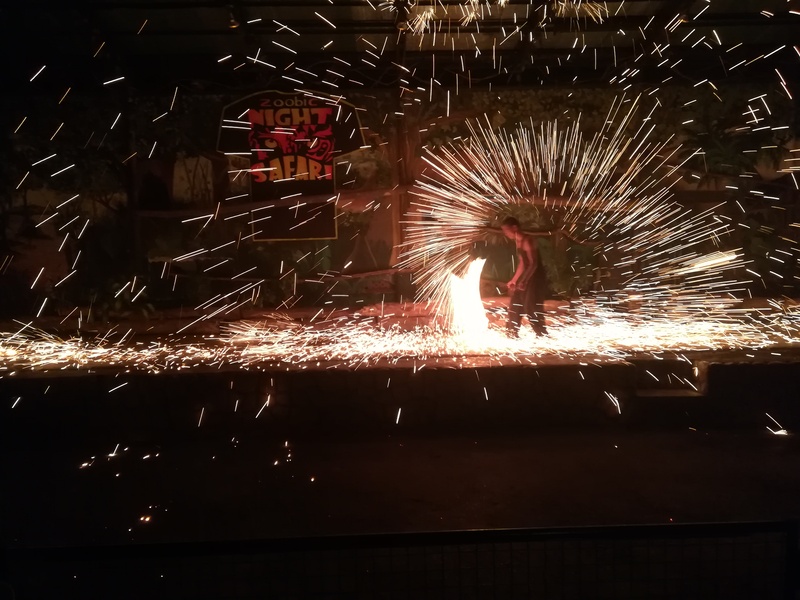 It offers a variety of interesting and enjoyable activities and attractions including the first gravity car ride in the Philippines called the Zooc Ride. It is suitable for all ages and will surely give you a thrilling experience. 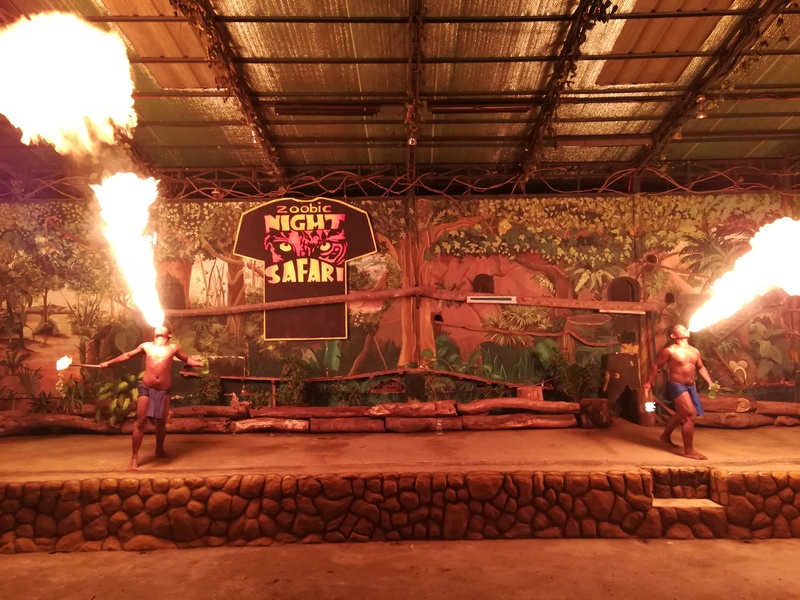 Other attractions also include the Maze, Zoocology Museum, The Barn, Giant Slides and Birds of Paradise, a close encounter with different colourful birds nestled on tree branches. 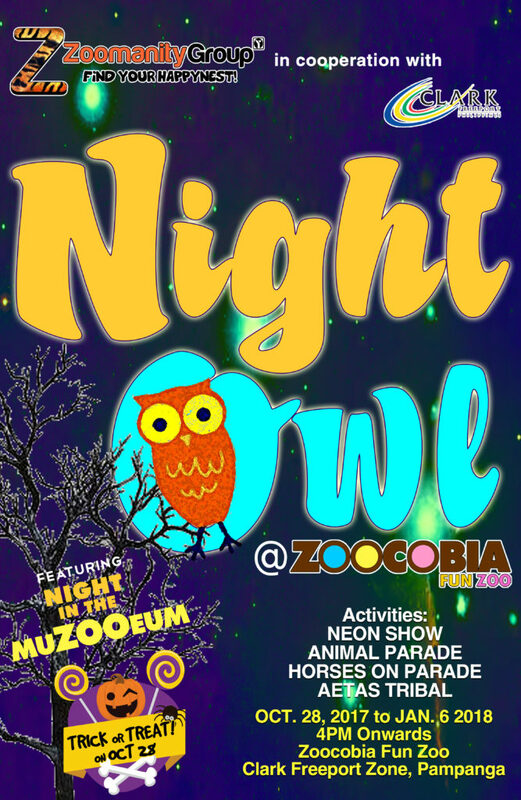 It’s really a BIG “O”wesome season for Zoocobia Fun Zoo, so if you want to experience these remarkable events or have questions, feel free to call us to 898-3695/8999828/08 or visit our website at www.zoomanity.com.ph. Imagine the wildlife at night. The excitement and enchantment from big cats to flying bats, and other animals in their natural habitat as the evening falls. 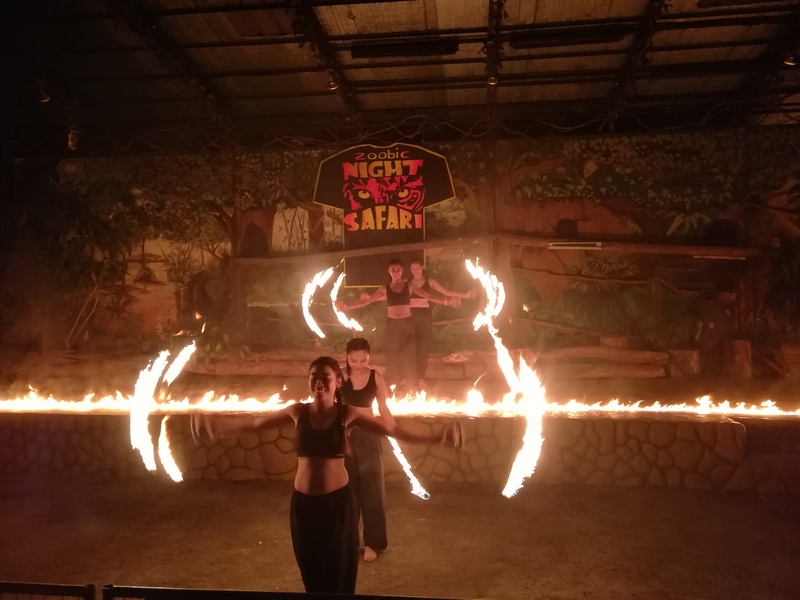 On October 28, 2017, Zoobic Safari brings back the much awaited “Night Safari”, packed with more thrill and excitement as it introduces the Summer Babies featuring newborn clydesdale and donkey. Awaken your curious side and see all the exotic yet captivating animals in real life. You can also walk together with the greyhound dogs and step into a twilight sanctuary in the Enchanting Forest with Greyhound Walk. Brace yourselves for the new activities, events, and attractions this holiday season. Try camping in a more comfortable, safe, and extravagant way as we open GlampZ or Glamping at Zoomanity. Watch out for more animals and other surprises we’re cooking up for everyone.